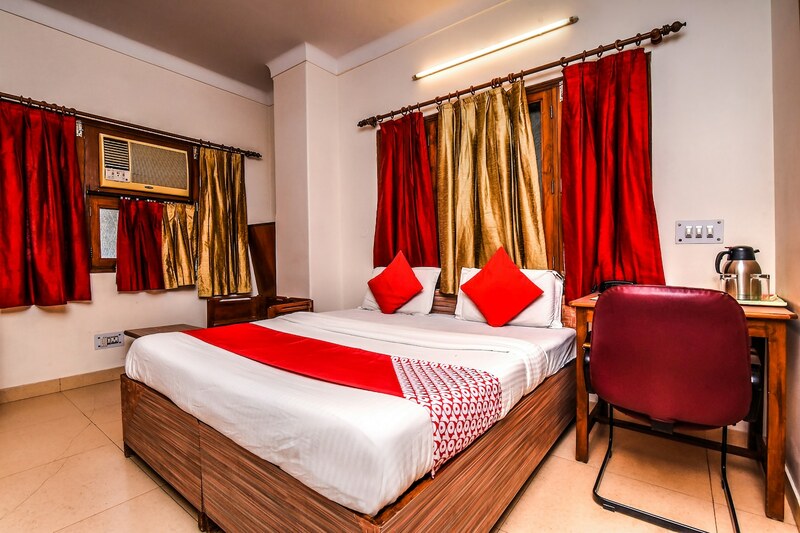 Hotel Home Stay The Excellency is an enthralling hotel located near Aurobindo College, Delhi. This hotel is only 5-10 mins away from both Malviya Nagar Bus Stop and Greater Kailash Metro Station. Just hire a cab or an autorickshaw and explore places like Jama Masjid, Rashtrapati Bhawan, Qutub Minar, Humayun's Tomb, India Gate, Red Fort, Khirki Masjid, etc. All rooms have king sized beds, AC, TV, Room heater, geyser, and free Wi-Fi. This property welcomes the guests with many facilities like parking, card payment, CCTV cameras, laundry, and a wide seating and dining area. Best places to shop in Malviya are Select City Walk Mall, DLF Mall and ECCO Mall.